Fry onions till golden brown. Add the rest of the ingredients and sauté for a minute. Add to batter and mix well. Pour 2tlbsp oil in a pan. Add mustard seeds. When it splutters add Channa Dal and green chilies. When Channa dal is golden brown add Rava and fry in low flame till well roasted. Switch off stove and cool. Add half the curds and salt and mix well. Let is rest for 10 minutes. Add rest of the curds and the vegetable mix [Given above as ;Variation’. This is optional] to the batter and mix well. Add fruit salt and mix. Check for salt. Grease Idly plates and pour the batter and steam for 5 to 7 mins or till it is done. To the awe and amazement of his devotees, Paramacharya often discussed about down-to-earth laukika matters with keen interest, deep understanding and knowledge. In this lecture, he explains the origin and meaning of the names of common Indian dishes and their connection to spirituality. In these explanations, I have mostly used the translated words of what Paramacharya actually spoke, extracted from the Tamil publication titled Sollin Selvar (The Expert of Words), Sri Kanchi Munivar by Sri Ra. Ganapathy. A typical South Indian meal is served in three main courses: sambar sAdam, rasam sAdam and more (buttermilk) sAdam. Sambar is also known as kuzhambu in Tamil, a term that literally translates to ‘get confused’. Paramacharya explains how these three courses are related to the three gunas of spirituality: the confusion of sambar is tamo guna, the clarified and rarified flow of rasam is rajo guna and the all-white buttermilk is satva guna. Our meal reminds us of our spiritual path from confused inaction to a clear flow of action and finally to the realized bliss of unity. 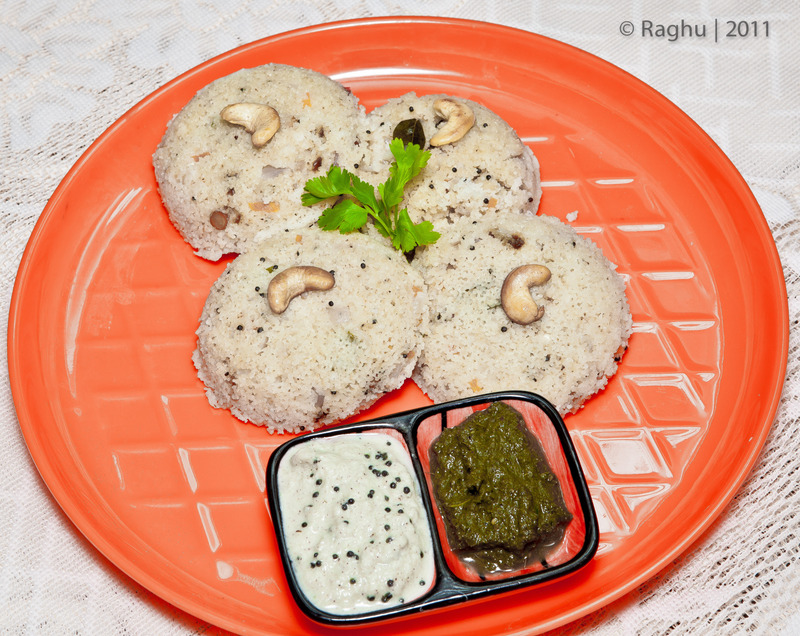 Cooked rice, the main dish of a South Indian meal is called sAdam. That which has sat is sAdam, in the same way we call those who are full of sat, sadhus. We can give another explanation for the term: that which is born out of prasannam is prasAdam. What we offer to Swami (God) as nivedanam is given back to us as parasAdam. Since we should not add the root ‘pra’ to the rice we cook for ourselves, we call it sAdam. Rasam means juice, which is also the name of filtered ruchi. We say ‘it was full of rasa’ when a speech or song was tasteful. Vaishnavas, because of their Tamil abhimAnam, refer to rasam as saatthamudhu. It does not mean the amudhu (amrita) mixed with sAdam. It was actually saatramudhu (saaru or rasam + amudhu), which became saatthamudhu. Vaishnavas also have a term thirukkann amudhu that refers to our pAyasam. What is that thirukkann? If rudrAksham means Rudra’s eye, does ‘thirukkann’ mean Lakshmi’s eye? Or does the term refer to some vastu (article) added to pAyasam? No such things. Thiru kannal amudhu has become thirukkann amudhu. Kannal means sugercane, the base crop of suger and jaggery used in pAyasam. I was talking about rasam. If something is an extraction of juice, then would it not be clear, diluted and free of sediments? Such is the nature of our rasam, which is clear and dilute. The other one, served earlier to rasam in a meal, is the kuzhambu. Kuzhambu contains dissolved tamarind and cut vegetable pieces, so it looks unclear, its ingredients not easily seen. A western meal normally ends with a dessert. In a South Indian meal, desserts such as pAyasam are served after the rasam sAdam. Any sweets that were served at the beginning are also taken at this time. After that we take buttermilk rice as our final course. Paramacharya explains that since sweets are harmful to teeth, our sour and salty buttermilk actually strengthens our teeth, and this has been observed and praised by an American dietician. We gargle warm salt water when we get toothache. The buttermilk is the reason for our having strong teeth until the end of our life, unlike the westerners who resort to dentures quite early in their life. Even though cut vegetable pieces are used in sambar, kootoo and pacchadi, in curry they are fried to such an extent that they become dark in color (the term curry also means blackness or darkness in Tamil). May be this is the origin of the name curry. If the term uppuma is derived from the fact that we add uppu or salt, then we also add salt to iddly, dosa and pongal! Actually, it is not uppuma but ubbuma! The rava used for this dish expands in size to the full vessel where heated up with water and salt. The action of rava getting expanded is the reason for the term ubbuma. The term iduthal (in Tamil) refers to keeping something set and untouched. We call the cremation ground idukaadu (in Tamil). There we keep the mrita sarira (mortal body) set on the burning pyre and then come away. The term iduthal also refers to refining gold with fire. The (Tamil) term idu marunthu has a similar connotation: a drug given once without any repetition of dosage. In the same way, we keep the iddly wet flour on the oven and do nothing to it until it is cooked by steam. (This is rice noodles cooked in steam). Brahmins call it seva while others call it idiyaappam. But unlike an appam which is a cake, this dish is in strands. The term appam is derived from the Sanskrit ApUpam meaning cake. The flour of that cake is called ApUpayam. This word is the origin of the Tamil word appam. The grammatical Tamil term is appalam. This dish is also made by kneading (urad dhal) flour, making globules out of it and then flattening them. So it is also a kind of appam. Because of its taste a ‘la’ is added as a particle of endearment! ladanam (in Sanskrit) means to play, to throw. ladakam is the sports goods used to play with. Since the ball games are the most popular, ladakam came to mean a ball. 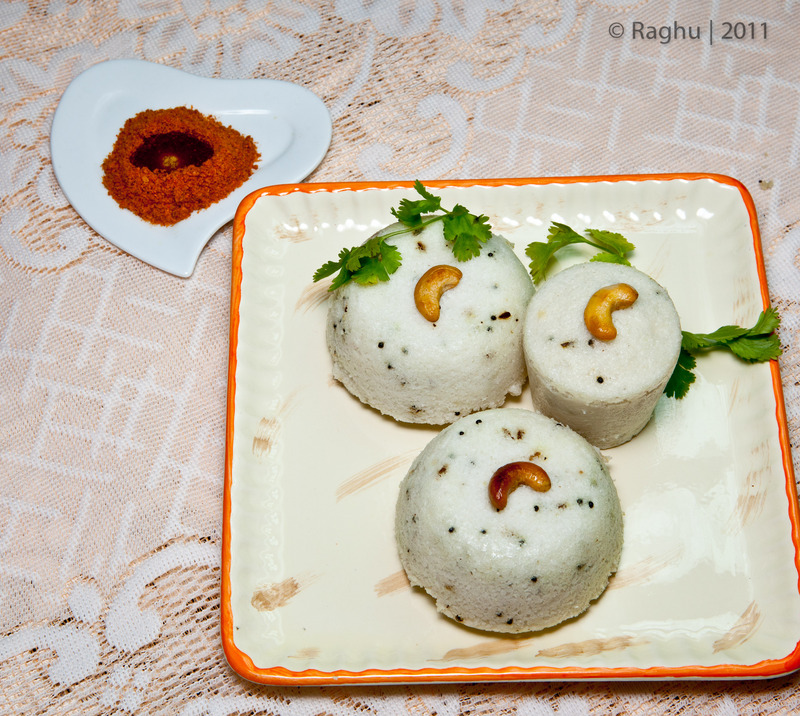 The dish laddu is like a ball, and this term is a shortened form of laddukam, which derived from ladakam. Laddu is also known as kunjaa laadu. This should actually be gunjaa laadu, because the Sanskrit term gunjA refers to the gunjA-berry, used as a measure of weight, specially for gold. Since a laddu is a packed ball of gunjA like berries cooked out of flour and sugar, it got this name. The singer of mUka panca sati on Ambal Kamakshi describes her as Matangi and in that description praises her as ‘gunjA bhUsha’, that is, wearing chains and bangles made of gunjA-berries of gold. Made of jaggery, rice flour and dried ginger without any ghee added to it, this laddu is as hard as a wood apple, though very tasty, and hence got its name from that fruit and the original pori (puffed rice) flour used to make it. Our halwa is a dish that came from the Turkish invasion. bahU kalam (long ago) before that we had a dish called paishtikam, made of flour, ghee and sugar. But then the Arabian term halwa has stuck in usage for such preparation. sUji is another name from the Turkish. It has become sojji now. It is mostly referred to these days as kesari. In Sanskrit, kesaram means mane, so kesari is a lion with kesaram. It was a practice to add the title ‘kesari’ to people who are on the top in any field. Thus we have Veera Kesari, Hari Kesari as titles of kings in Tamilnadu. The German Keisar, Roman Caesar and the Russian Czar — all these titles came from only from this term kesari. What is the color the lion? A sort of brownish red, right? A shade that is not orange nor red. That is the kesar varnam. The powder of that stone is called kesari powder, which became the name of the dish to which it is added for color. A Tamil pundit told me that the name vada(i) could have originated from the Sanskrit mAshApUpam, which is an appam made of mAsham or the urad dhal. He also said that in ancient Tamilnadu, vada and appam were prepared like chapati, baking the flour cake using dry heat. Someone asked me about the meaning of this term. He was under the impression that dadhi was curd, so dadhiyaaradhana(i) was the curd rice offered to Perumal. Actually, the correct term is tadeeya AradhanA, meaning the samaaradhana(i) (grand dinner) hosted to the bhagavatas of Perumal. It got shortened in the habitual Vaishnava way. Vaishnavas offer the nivedanam of pongal with other things to Perumal in their dhanur mAsa ushad kala puja (early morning puja of the Dhanur month). They call it tiruppakshi. The original term was actually tiruppalli ezhuchi, the term used to wake of Perumal. It became ‘tiruppazhuchi’, then ‘tiruppazhachi’ and finally ‘tiruppakshi’ today, using the Sanskrit kshakara akshram, in the habitual Vaishnava way. It is only vegetarian offering, nothing to do with pakshi (bird)! The term dhanur mAsam automatically brings up thoughts of Andaal and her paavai (friends). In the 27th song (of Tiruppaavai), she describes her wake up puja and nivedanam with milk and sweet pongal to Bhagavan, which culminates in her having a joint dinner with her friends. Vaishnavas celebrate that day as the festival koodaara valli, following the same sampradhAyam (tradition). The name of this festival is from the phrase koodaarai vellum seer Govinda, (Govinda who conquers those who don’t reach Him) which begins the 27th song. It was this ‘koodaarai vellum’ that took on the vichitra vEsham (strange form) of ‘koodaara valli’. payas (in Sanskrit) means milk. So pAyasam literally means ‘a delicacy made of milk’. This term does not refer to the rice and jaggery used to make pAyasam. They go with the term without saying. Actually pAyasam is to be made by boiling rice in milk (not water) and adding jaggery. These days we have dhal pAyasam, ravA pAyasam, sEmia pAyasam and so on, using other things in the place of rice. Vaishanavas have a beautiful Tamil term akkaara adisil for pAyasam. The ‘akkaar’ in this term is a corruption of the Sanskrit sharkara. The English term ‘sugar’ is from the Arabian ‘sukkar’, which in turn is from this Sanskrit term. The same term also took the forms ‘saccharine’ and ‘jaggery’. And the name of the dish jangiri is from the term jaggery. Before we become satiated with madhuram (sweetness), let us turn our attention to a food that is sour. As an alternative to sweetness, our Acharyal (Adi Sankara) has spoken about sourness in his Soundarya Lahiri. Poets describe a bird called cakora pakshi that feeds on moon-beams. Sankara says in Soundarya Lahiri that the cakora pakshi were originally feeding on the kArunya lAvaNyAmruta (the nectar of compassion and beauty) flowing from Ambal’s mukha chanran (moon like face). They got satiated with that nectar and were looking for somthing sour, and spotted the full moon, which being only a reflection, issued only sour beams! Acharyal has used the term kAnjika diya, which gives an evidence of his origin in the Malayala Desam. He said that since the cakora pakshis were convinced that the nectar from the moon was only sour kanji, they chose to feed on it as an alternative. The term kAnjika means relating to kanji, but the word kanji is not found in Sanskrit. It is a word current only in the Dakshinam (south). There too, kanji is special in Malayala Desam where even the rich lords used to drink kanji in the morning. This was the variety came to be known as the ‘Mayalayam Kanji’. Kanji is good for deham as well as chittam. And less expensive. You just add a handful of cooked rice rava (broken rice), add buttermilk, salt and dry ginger, which would be enough for four people. The buttermilk added must be a bit more sour. The salt too must be a bit more in quantity. With the slight burning taste of dry ginger, the combination would be tasty and healthy. It is customary to have tAmbUlam at the end of a South Indian dinner. In the North, tAambUlam is popularly known as paan, which is usually a wrap of betel nut and other allied items in a calcium-laced pair of betel leaves. In the South, tAmbUlam is usually an elaborate and leisurely after-dinner activity. People sit around a plate of tAmbUlam items, drop a few cut or sliced betel nut pieces in their month, take the betel leaves one by one leisurely, draw a daub of pasty calcium on their back and then stuff them in their month, chatting happily all the while. The betel leaf is known by the name vetrilai in Tamil, literally an empty leaf. Paramacharya once asked the people sitting around him the reason for calling it an empty leaf. When none could give the answer, he said that the usually edible plants don’t just stop with leaf; they proceed to blossom, and bear fruits or vegetables. Even in the case of spinach or lettuce, we have to cook them before we can take them. Only in the case of the betel leaf, we take it raw, and this plant just stops with its leaves, hence the name vetrilai or empty leaf.